What Kentucky public colleges and universities in the "Bluegrass State" lack is access to major metropolitan area, however Kentucky is home to the Kentucky Derby, the Mammoth Caves, and distills famous bourbon sold worldwide. But this is part of the draw for many college students. If you prefer peace and quiet, then perhaps Kentucky colleges might entice you as well. They offer you a chance to escape the hustle and bustle of city living, with 90,000 miles of streams, 300 miles of undeveloped shoreline for camping, hunting, fishing, and hiking. And, you can study in a nurturing environment surrounded by beautiful plains, rolling farmland, and stunning natural beauty. For some, this is the ideal setting in which to pursue higher education. Looking for a Kentucky Public College? The State of Kentucky a state known for horse racing and bluegrass music, hosts over 125 colleges and universities as well. The Commonwealth of Kentucky has nine public colleges and universities. The state hosts two major research institutions: University of Louisville and the University of Kentucky, a consistently top-ranked school. Kentucky's institutions are overseen by the Kentucky Council on Postsecondary Education which is charged with leading the reform efforts envisioned by state policy leaders in the Kentucky Postsecondary Education Improvement Act of 1997. The Council has multiple responsibilities to ensure a well-coordinated and efficient postsecondary and adult education system. 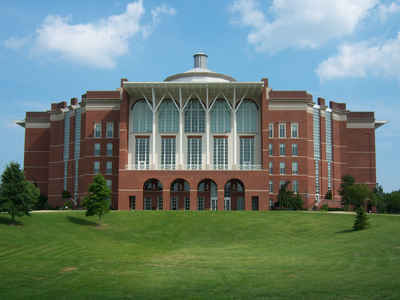 The University of Kentucky is most popular school and the most expensive public school in Kentucky. Murray State University is located in Murray, KY, and is the state's only public university to be ranked in the regional university top tier by U.S. News & World Report for the past 20 consecutive years. The state hosts two major research institutions: University of Louisville and the University of Kentucky, a consistently top-ranked school. Choose from a plentitude of online colleges and distance learning programs available to you in the state of Kentucky. This state hosts a variety of opportunities in which to continue your education. Kentucky ranks 49th out of the 50 states in percentage of people with a bachelor's degree. Investigate the options this state has for you.